How To Update Your Business Listing Holiday Hours | Sharp Innovations Blog | Sharp Innovations, Inc. If you were greeted with a helpful reminder from Google to update your holiday hours, but aren’t quite sure how to do so, we’ve put together this helpful how-to blog that walks you through the necessary steps for both your Google and Bing business listings. In this screen you can add your holiday hours. Specify the dates and times your business will be operating under holiday hours. If your business closes for a day or a week, be sure to click the button to mark the business closed. Click “Apply” when you are finished. In this section you can add your holiday hours. 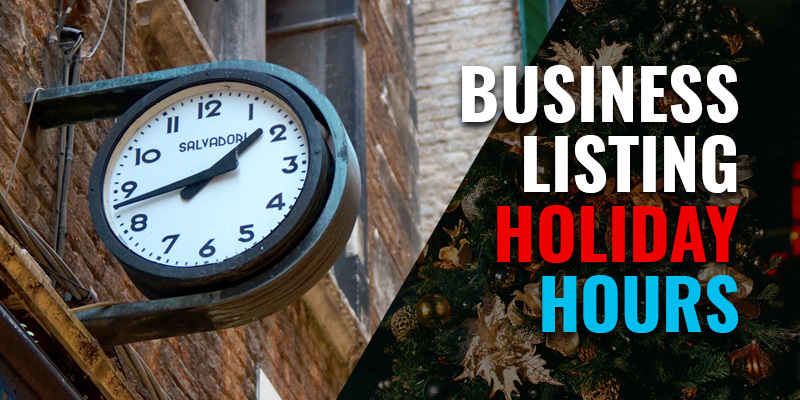 Specify the dates and time your business will be operating under holiday hours. If your business closes, be sure to leave the button marked “Closed” to let customers know the business is closed. Click “Next” and then “Submit” when you are finished. Once again your hours will then be listed in green in the search results, signifying you have special holiday hours that you have specified in your management panel. We hope this guide helps, but if you need any help with editing or even setting up your Google or Bing business listing, be sure to give us a call at 717-290-6760, or email us at support@sharpinnovations.com. Have a blessed Christmas and a very Happy New Year!